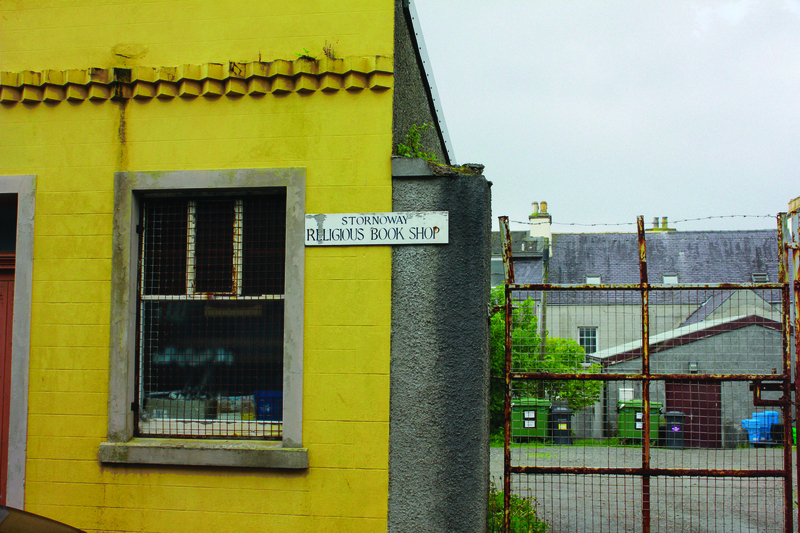 On Sunday mornings the streets of Stornoway are quiet, really quiet. Almost nothing is open, after a long battle a limited ferry service started in 2009 – Sabbath observance is still almost total. The few pools of activity belong to church going – the odd car or community minibus turning up to offload its passengers, the sound of solid Sunday shoes on pavements as their owners walk determinedly to the Free Church of Scotland. 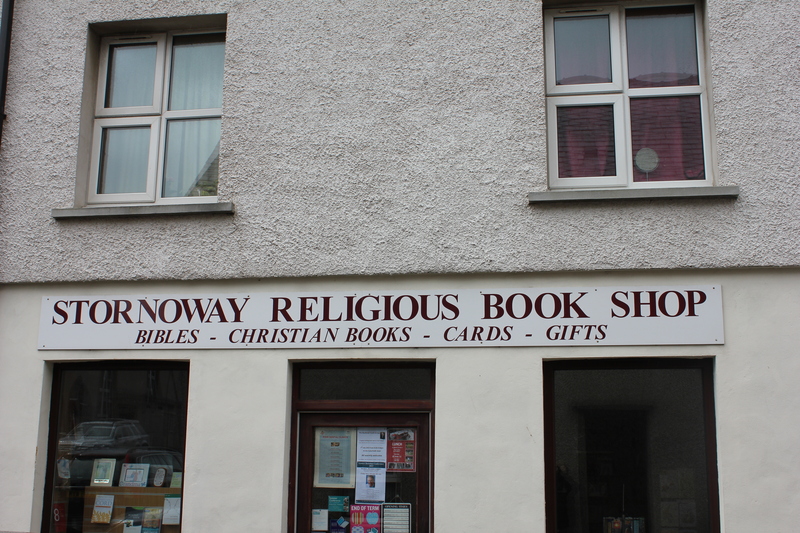 Religion is still a significant factor in the life of the inhabitants of the Outer Hebrides. While the southern islands of Benbecula, South Uist and Barra are predominantly Roman Catholic. In the Northern islands. especially Harris and Lewis, the non-conformist Free Church of Scotland and the still more conservative Free Presbyterian Church of Scotland are very influential. There is a tradition of Sabbath observance and few shops or transport services are available on Sunday although this is increasingly contested. Of course religion in the Outer Hebrides is a lot older than that St Columba is said to have brought Christianity to the islands in the 6th century and the ruins of early religious building can be seen throughout the islands. In 2013 I went to specifically try and record aspects of a Hebridean Sunday. 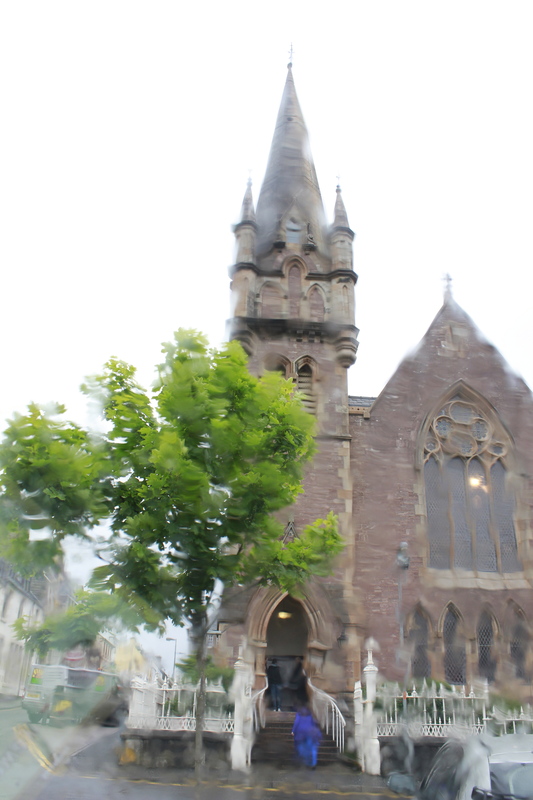 I wanted to record the sounds of churchgoing in Stornoway and the sounds of unaccompanied psalm singing (precenting) floating out of the church. You don’t get to stand outside a free church for long though – I was invited in to both the morning service in Stornoway and the evening service at Back, both services were full to bursting and am extremely grateful for both experiences. The skylarks singing above the ruined 13th century church on the machair at Howmore, South Uist get the last word however.